William's Way: I'm still here! When William was initially diagnosed, next to his care I felt my priority was to protect his privacy. No pictures, no blog, nothing. I wanted to protect him from anything and everything. I found out quickly in order to raise awareness of his disease, we needed to tell his story. Better yet, shout his story as loud as we could. 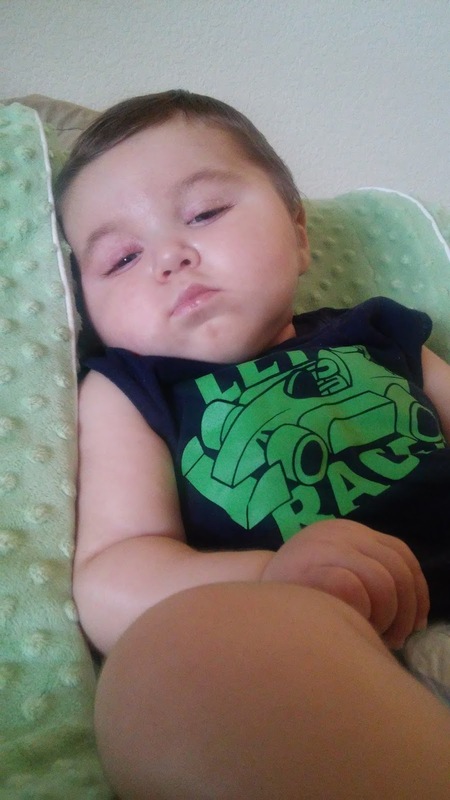 Telling William's story will not save his life, but it sure the heck will save others from going through this living hell called Krabbe Disease. I am astounded as to how many lives our precious William has reached. I have been meaning to update this blog, really I have. Sitting still is not one of my fortes, and we were at a deadlock for about a month with William healing and getting his blood drawn every couple of weeks being the standard. We have met with a communication specialist, occupational, speech and physical therapist and have an upcoming visit to Pittsburgh for a check up and testing so there will be much more to share in the next few months. Here's William doing what William does best: "Chillin' out maxin' relaxin' all cool..."
"Not in the top 1,000"